Can you believe it - this is the last day of June and that means that tomorrow I've my first vacation day! YEAH! Also - as you might already know - we are excited - since our friends from Chicago arrives tomorrow. I'm hoping that Sweden will show them how a wonderful Swedish Summer can be. So keep you fingers crossed for some sunshine and warm weather. Today I have a card showing Eden with Teddy. I just love this image. It's adorable. I had to challenge myself and not colour her in pink - but in blue instead. And I think she looks as good as in blue as she would do in pink - right? Just added a pink little rose and a heart charm. Added some dew drops and again - went for a clean layout since I wanted her to be in the center! Hope you like it and we would love to see what you all are creating with the new BnW stamps. Make sure that you show us - so that we can put you in the BnW Sunshine! Finally I would like to sing Happy B'day to my sweet godson William. Have fun on your day! Thank you all so much for your very sweet comments on the new E Bell release for SCACD. We are so happy that you like them as much as we do. Today it's time for another TIOT. 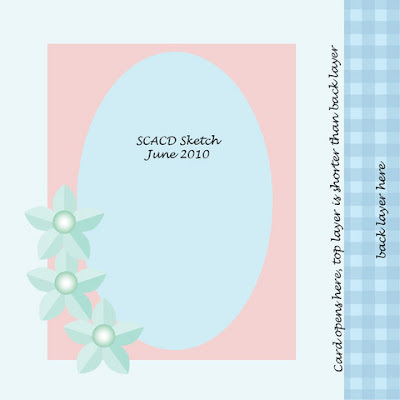 Suzanne have a great sketch for you and she also asks you to use Flower soft on your project. I decided to ink and colour "Just For You" with my copics. Got to use my border punch and some ribbon from my stash. Cut out the background oval with my nestie (hope you've seen the Specials that Susana has on some of the Spellbinders). I also cut out some flowers from a flower ribbon that I have. Added pearls - of course ;-). I also decorated the inside of the card with the same DPs as on the front. Here's a pic of the card before adding flower soft. And here are some photos of the finished card with Flower soft on part of it - to highlight the flowers. Hope you like it and would like to participate. FYI - We will be having friends from Chicago visiting us and we are soo excited to see them again. Isac is already practising on his English ;-) However - I have scheduled some post for you while I'm gone - so please note that your comments are so much appreciated. I will def. be reading them and hoping to get some time to visit your blogs soon. Welcome to the Elisabeth Bell for SCACD Sampler Edition #5 blog hop! Don't know how Elisabeth does it - but YES - she's done it again. Stunning cuties and I am sure - there's something in this release for everyone! I was so happy when I got to present "Gone Fishing". Being a mom to a little boy makes me always look for cute, fun and useful stamps. This one is just perfect. I think it fits for any age - don't you agree??! Coloured him with my copics and went for a clean layout - only adding some buttons, scrapper's floss and YES - had the perfect charm (Thank you Lim!!) - a cute little fish. Sentiment is from Aud Design saying "Trevlig Sommar" = Have a nice Summer in Swedish. DPs are all from SU. Hope you like it and I would love it if you left a little trace of your visit here before you jump to Susanna's blog. Kramis and Happy Midsummer to all of you that celebrate Midsummer like we do today! Welcome to our weekly TIOT. Suzanne wanted us to create weaving on our projects; weave ribbon, cardstock, scrappers floss, thread, etc as a frame, on your background or as an embellishment! Hope you would like to play along with us and also - make sure that you don't miss the chance to enter for the generous blog candy that Susana has in store for you. Maybe you are the lucky one?? Welcome to another BnW challenge - hosted by our sweet Audhild. The challenge is Pink, Brown and White - what more could I say than this is one of my fav. colour combos. 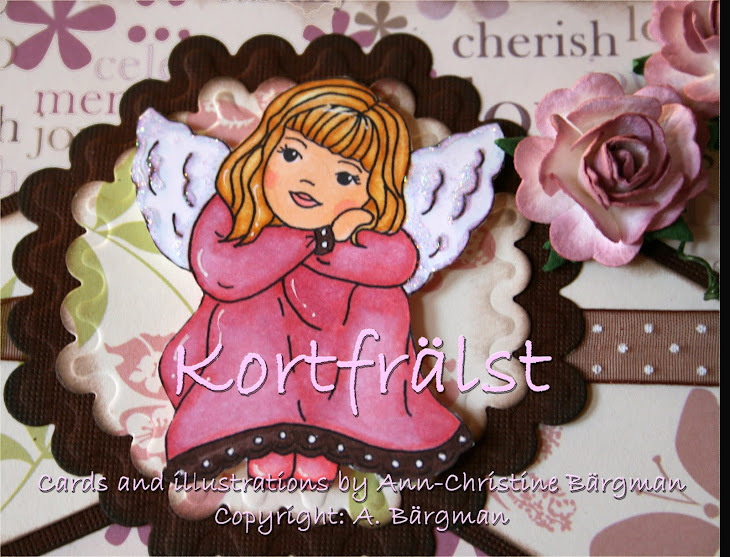 And - since Isac just had a new little baby cousin - (my husband's youngest sister Elena had her first baby June 3rd) - then I had to create a card for their cute little daughter. I decided to colour Sweet dreams of course - from the new BnW Forever Young Collection! Sentiment from Aud design - Saying a little girl in Swedish! DPs from SU. Then I added some dew drops and a matching ribbon from my stash. Hope you join us for this weeks BnW challenge. Hope you like it and I appreciate every single comment you leave. I'm so sorry for being a bad blog visitor these days - but I hope it's going to change soon - when it's VACATION time! First of all - a huge THANK YOU again for all the sweet comments that you left for my card during the BnW blog hop. They really made my day and I hope to get some time soon to visit your blogs and see what you all are up to. Please send me your contact details and I will fwd them to Summer! Congratulations again! Today our Swedish Crownprincess Victoria got married to Daniel - who from now on is Prince Daniel of Sweden. Many of us here in Sweden have followed them and their wedding cermony on the TV today. Such a wonderful and loving couple! You can read about it here and from the Swedish TV here. For you stamp loving ladies out there - well - there are more to be excited over soon . Another amazing release by Elisabeth Bell for SCACD is coming June 25th!!! Read more about it at the SCACD store blog and I can only say this much - you are going to LOVE them! Kramisar and enjoy your weekend! 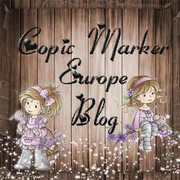 Welcome to another fun, cute and wonderful BnW blog hop. If you have arrived from my supertalented DT-sister Jodi's blog - then you are on the right track :-). If not - then please go back to the start over at our BnW blog. I hope you all are going to like what we have in store for you this time. The Pre-orders of these cuties starts today and the shipping will begin the following week. Please note that the store will be closed from June 23th-July 5th. 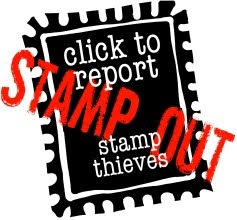 No orders will be taken during this time so order before June 22 to have your stamps ship prior to closure. Well - enough details and over to the card that I want to present to you. I got the honor to present Little Child's Prayer. This really brings back Childhood memories and therefore I wanted the DP backround to create the feeling of being a wallpaper in her room. I went for a very clean layout - since I wanted the image to be in the center. Cut her out with ny nesties and coloured her with my copics. Then I only added a little pink ribbon and some dew drops. Ribbon and DPs are all from SU. Hope you like it. We would love to hear from you - so please take the time and leave a little mark of your visit on each blog and remember to visit the BnW blog when you finished the hop. One randomly chosen winner will receive the new set of BnW stamps. Make sure that you read all the details on how to win on the BnW blog. That's all from me today - so after you left your little "mark of your visit" - please pop over to my creative DT-sister Andrea. Cut out some flowers from my "flower ribbon" and coloured them as well with Viva Decor Pens. The pears in the center and on the DPs are created with various Viva Decor pens. Hope you would like to play along. For more details about this weeks TIOT - please visit our SCACD store blog. Tried to make a masculine layout and choice of DPs. Coloured Teddi and Friend with my copics. Sentiment is a Susanament. Added a couple of buttons and scrapper's floss. Well - I hope you like it and that you want to play along. Make sure that you link to your projects so that we can see your stunning creations. 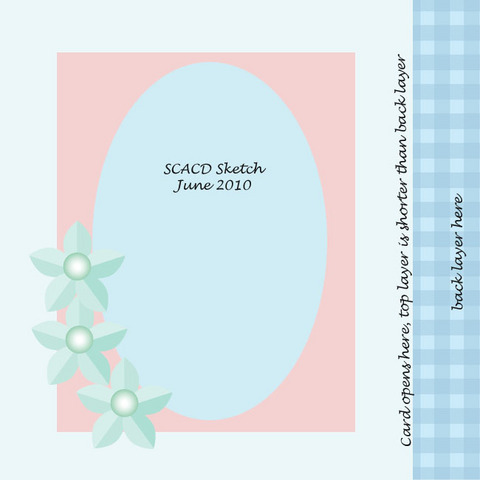 So hop over to SCACD's store blog and join us! Also - a huge thank you to all of you for your sweet comments regarding the new Victoria Case images for SCACD. They are adorable - aren't they? Well - I could not resist - had to use one of them for the very first TIOT in June where Suzanne wants us all to create a Summertime invitation - using the colours Red, Blue and White. I was really hard to choose just one of the cute new stamps - but I finally decided to use "By the Sea". I love the way she look - so happy and cute in her new swimsuit! I do hope that you would like to participate in this weeks challenge. Looking fwd to see what you will come up with!